Most power quality problems in distribution systems are related to voltage sags. Therefore, different solutions have been examined to compensate these sags to avoid production losses at sensitive loads. Dynamic Voltage Restorers (DVRs) have been proposed to provide higher power quality. Currently, a system wide integration of DVRs is hampered because of their high cost, in particular, due to the expensive DC-link energy storage devices. The cost of these DC-link capacitors remains high because the DVR requires a minimum DC-link voltage to be able to operate and to compensate a sag. As a result, only a small fraction of the energy stored in the DC-link capacitor is used, which makes it impractical for DVRs to compensate relatively long voltage sags. Present control strategies are only able to minimize the distortions at the load or to allow a better utilization of the storage system by minimizing the needed voltage amplitude. 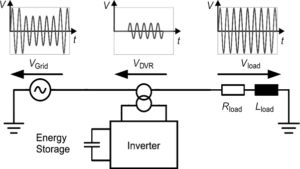 To avoid this drawback, an optimized control strategy is presented in this paper, which is able to reduce the needed injection voltage of the DVR and concurrently to mitigate the transient distortions at the load side. In the following paper, a brief introduction of the basic DVR principle will be given. Next, three standard control strategies will be compared and an optimized control strategy is developed in this paper. Finally, experimental results using a medium-voltage 10-kV DVR setup will be shown to verify and prove the functionality of the presented control strategy in both symmetrical and asymmetrical voltage sag conditions. Fig. 1. Basic concept of a DVR. Fig. 2. Measured voltages during a long, balanced sag. Fig. 3. Measured voltages during a long, unbalanced sag. Voltage sags are a major problem in power systems due to the increased integration of sensitive loads. DVR systems are able to compensate these short voltage sags. The control and the design of these systems are critical. Present control strategies are able either to minimize load distortions or the needed voltage amplitude. Both requirements are of utmost importance, especially the needed voltage amplitude for compensating a voltage sag leads to a strict limitation of the range of operation without oversizing the converter significantly. In this paper, the basic concept of an optimized solution is presented. Based on a combination of the pre-sag and in-phase compensation methods, the proposed optimized DVR control strategy can react to a short voltage sag avoiding disturbances to the protected load. While for a long voltage sag, the proposed method is still able to generate the appropriate voltage without over modulation (or oversized DC-link capacitor) and with minimized load voltage transient distortions. Furthermore, medium voltage level experimental results are presented to verify the feasibility of this control strategy in both balanced and unbalanced voltage sag situations. Although, the effect of the control strategy has only been shown for long but shallow sags, similar results occur for deep sags or large phase jumps. In this study, it was found that the required voltage amplitude of the DVR with the proposed optimized control strategy was reduced by 25%, compared to the pre-sag controller. In other words, the maximum compensation time is increased by approximately the same amount. Taking into consideration that a phase jump of 12 is not extremely high and that the advantages increases with larger phase jumps, an even higher gain is possible in practical systems. Summarizing all advantages up, it can be stated that the compensation time of existing DVR systems under pre-sag control can be significantly improved when applying the proposed optimized strategy. In newly designed DVRs, the DC-link capacitance can be decreased without reducing the range of operation. M. Bollen, Understanding Power Quality Problems, Voltage Sags and Interruptions. New York: IEEE press, 1999. A. Kara, D. Amhof, P. Dähler, and H. Grüning, “Power supply quality improvement with a dynamic voltage restorer (DVR),” in Proc. Appl.Power Electron. Conf., 1998, no. 2, pp. 986–993. P. Dähler, M. Eichler, O. Gaupp, and G. Linhofer, “Power quality devices improve manufacturing process stability,” ABB Rev., vol. 1, pp. 62–68, 2001. W. E. Brumsickle, R. S. Schneider, G.A. Luckjiff, D. M. Divan, and M. F. McGranaghan, “Dynamic sag correctors: Cost effective industrial power line conditioning,” IEEE Trans. Ind. Appl., vol. 37, no. 1, pp. 212–217, Jan.–Feb. 2001. C. Meyer and R. De Doncker, “Solid-state circuit breaker based on active thyristor topologies,” IEEE Trans. Power Electron., vol. 21, no.2, pp. 450–458, Nov. 2006. Voltage sag is the most common and severe power quality problem in the recent times due to its detrimental effects on modern sensitive equipment. Generally, direct-on-line starting of the three-phase induction motor (IM) and various kinds of short circuit fault are directly responsible for this event. 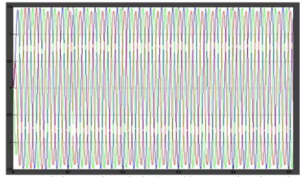 This study investigates the impacts of starting and stopping of two three phase IMs on the load voltage profile. To be more critical, two three-phase short circuit faults and one unsymmetrical fault are also simulated in the same network at different instants of time. A simple control algorithm of a real power optimised dynamic voltage restorer (DVR) with a reduced power factor strategy is presented to protect the sensitive load from these types of detrimental events. A novel fuzzy-proportional–integral based self-tuned control methodology is implemented in the proposed work to compensate the loss in the DVR circuit as well as to regulate the load voltage and the direct current link voltage. 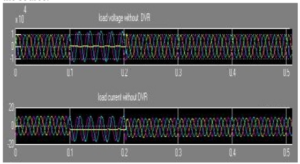 The results show the effectiveness of the adopted control scheme in DVR application to mitigate the voltage sag. This study divulges a simple yet robust reduced power factor controlled energy optimised algorithm in DVR to offer a common solution to mitigate the severe voltage sag. Minimisation of energy delivered may increase the life of the ESU, therefore limits the expenditure indirectly. The self-tuned fuzzy-Proportional-Integral scheme also plays a significant role to regulate the active power through the DVR as well as to compensate the load voltage and DVR losses. The results obtained in this work shows that the proposed DVR solution provides a good and satisfactory level of compensation. The system voltage has been compensated nearly up to its nominal value. The DC voltage is also very fairly regulated. The application of DVR reduces the level of oscillation in the torque profile of the IM. The proposed method is also compared with other strategies surfaced in the existing literature and it is unfold that the proposed strategy offers better harmonic compensation and it also provides better damping in the load voltage. Thus, it may be concluded that the proposed control technique of DVR, operated by adaptive fuzzy control scheme, may be justified for utilizing the same as a common sag mitigating device. Within the context of the present study, the work is ended with simulation only. However, the same may be tested on an experimental bench fuzzy-proportional-integral. This paper proposes three dynamic voltage restorer (DVR) topologies. Such configurations are able to compensate voltage sags/swells in three-phase four-wire (3P4W) systems under balanced and unbalanced conditions. The proposed systems in this work use two independent dc-links. The complete control system, including the PWM technique, is developed and comparisons between the proposed configurations and a conventional one are performed. Simulation and experimental results are provided to validate the theoretical approach. Fig. 2. Simulation results. Injected voltages by the DVR considering conventional 3HB topology and proposed configurations with equal dc-link voltages (vCa=vCb ! dc-link ratio 1:1) and different dc-link voltages (vCa 6= vCb ! dc-link ratios 1:2 and 1:3). Fig. 3 Simulation results. Dynamic system operation under 30% single-phase sag in time domain. (a) Grid voltages. (b) Injected voltages by DVR. (c) Load voltages. Fig. 4. Simulation results. 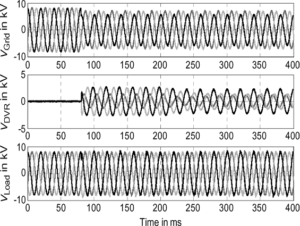 Dynamic system operation under 30% two-phase sag in time domain. (a) Grid voltages. (b) Injected voltages by DVR. (c) Load voltages. Fig. 5. Simulation results. Dynamic system operation under 30% three-phase sag in time domain. (a) Grid voltages. 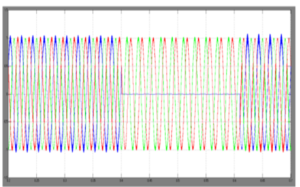 (b) Injected voltages by DVR. (c) Load voltages. 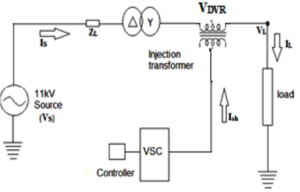 In this paper three four-wire dynamic voltage restorers (DVRs) have been presented. The studied configurations in this work are based on the concept of open-end winding. Simulated and experimental results presented show that the proposed DVRs are feasible and suitable for power distribution system with YY transformers with neutrals grounded. Brumsickle, G. Luckjiff, R. Schneider, D. Divan, and M. Mc- Granaghan, “Dynamic sag correctors: cost effective industrial power line conditioning,” in Industry Applications Conference, 1999. Thirty-Fourth IAS Annual Meeting. Conference Record of the 1999 IEEE, vol. 2, pp. 1339–1344 vol.2, 1999. McGranaghan, D. Mueller, and M. Samotyj, “Voltage sags in industrial systems,” Industry Applications, IEEE Transactions on, vol. 29, no. 2, pp. 397–403, 1993. 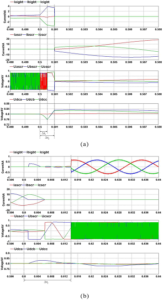 -m. Ho and H.-H. Chung, “Implementation and performance evaluation of a fast dynamic control scheme for capacitor-supported interline DVR,” Power Electronics, IEEE Transactions on, vol. 25, no. 8,pp. 1975–1988, 2010. Ghosh and G. Ledwich, “Compensation of distribution system voltage using DVR,” Power Delivery, IEEE Transactions on, vol. 17, no. 4, pp. 1030–1036, 2002. 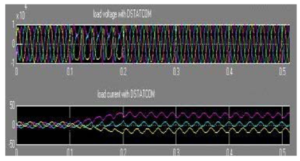 Nielsen, M. Newman, H. Nielsen, and F. Blaabjerg, “Control and testing of a dynamic voltage restorer (DVR) at medium voltage level,” Power Electronics, IEEE Transactions on, vol. 19, no. 3, pp. 806–813,2004. 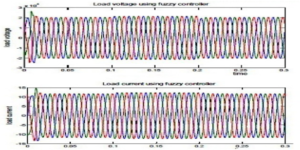 This paper proposes a new fault current limiting dynamic voltage restorer (FCL-DVR) concept. The new topology uses a crowbar bidirectional thyristor switch across the output terminals of a conventional back-to-back DVR. In the event of a load short, the DVR controller will deactivate the faulty phase of the DVR and activate its crowbar thyristor to insert the DVR filter reactor into the grid to limit the fault current. 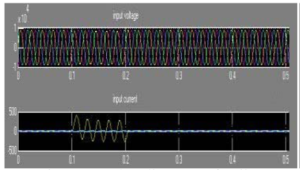 A fault condition is detected by sensing the load current and its rate of change. The FCL-DVR will operate with different protection strategies under different fault conditions. Design of the FCL-DVR involves selecting important parameters, such as DVR power rating, dc link voltage of the DVR, output filter reactors and capacitors, and grid-tied transformers is proposed. The design methodology of the proposed FCL-DVR is fully discussed based on power systems computer aided design (PSCAD)/electromagnetic transients including dc (EMTDC) simulation. A scaled-down experimental verification is also carried out. Both modeling and experimental results confirm the effectiveness of the new FCL-DVR concept for performing both voltage compensation and fault current limiting functions. Fig. 1 Topology of FCL-DVR. Fig 2. Simulation results of voltage compensation operation of FCL-DVR. 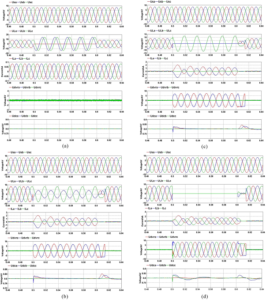 Waveforms of grid voltages, PCC voltages, load currents FCL-DVR output voltages, and dc link voltages of the FCL-DVR during voltage fluctuation event and (b) unbalanced voltage event. Fig. 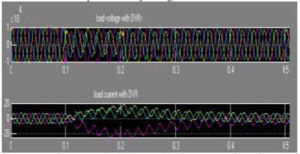 3 Simulation waveforms of grid voltages, PCC voltages, load currents, FCL-DVR output voltages, and FCL-DVR dc link voltages during (a) single-phase to ground, (b) phase-to-phase, (c) two-phase to ground, and (d) three-phase to ground short circuit fault. A new FCL-DVR concept is proposed to deal with both voltage fluctuation and short current faults. The new topology uses a crowbar bidirectional thyristor switch across the output terminals of a conventional back-to-back DVR. In the event of load short, the DVR controller will deactivate the faulty phase of the DVR and activate its crowbar thyristor to insert the DVR filter reactor into the grid to limit the fault current. The FCL-DVR will operate with different protection strategies under different fault conditions. Based on theoretical analysis, PSCAD/EMTDC simulation and experimental study, we conclude the following. 1) With the crowbar bidirectional thyristor across the output terminal of the inverter, the proposed FCL-DVR can compensate voltage fluctuation and limit fault current. 2) The FCL-DVR can be used to deal with different types of short faults with minimum influence on nonfault phases. The FCL-DVR has the same power rating as a conventional DVR. 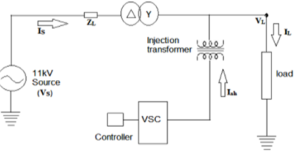 3) The delta-connection mode of the shunt transformers minimizes the influence of dc link voltage fluctuations and suppresses the 3rd harmonics. 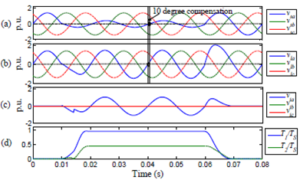 4) The proposed control method can detect faults within two cycles. 5) The design methodology based on the analysis of the relationship between main circuit parameters and compensation capacity could be helpful to the design of FCL-DVR. 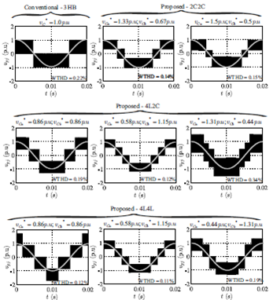 Shuai et al., “A dynamic hybrid var compensator and a two-level collaborative optimization compensation method,” IEEE Trans. Power Electron., vol. 24, no. 9, pp. 2091–2100, Sep. 2009. Sainz, J. J. Mesas, R. Teodorescu, and P. Rodriguez, “Deterministic and stochastic study of wind farm harmonic currents,” IEEE Trans. Energy Convers., vol. 25, no. 4, pp. 1071–1080, Dec. 2010. Boico and B. Lehman, “Multiple-input maximum power point tracking algorithm for solar panels with reduced sensing circuitry for portable applications,” Solar Energy, vol. 86, no. 1, pp. 463–475, Jan. 2012. F. Arritt and R. C. Dugan, “Distribution system analysis and the future smart grid,” IEEE Trans. Ind. Appl., vol. 47, no. 6, pp. 2343–2350, Nov. 2011. Supatti and F. Z. Peng, “Z-source inverter with grid connected for wind power system,” in Proc. Energy Convers. Congr. Expo. (ECCE), San Jose, CA, USA, 2009, pp. 398–403. Dynamic Voltage Restorer (DVR) is a definitive solution towards compensation of voltage sag with phase jump. Conventional DVR topologies however have dc-link and two stage power conversion. This increases its size, cost and associated losses. Therefore topologies without the dc-link, mitigating sag by utilizing direct ac-ac converters, are preferable over the conventional ones. As no storage device is employed, compensation by these topologies is limited only by the voltages at the point of common coupling that is feeding the converters. 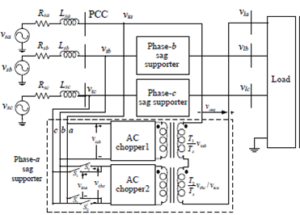 In this paper, a direct ac-ac converter based topology fed with line voltages is proposed. 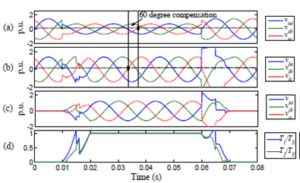 The arrangement provides increased range of compensation in terms of magnitude and phase angle correction. Detailed simulations have been carried out in MATLAB to compare the capability of the proposed topology with other similar topologies. Fig. 2. Proposed converter topology. Fig. 3. Compensation of a sag type Ba. (a) Three phase voltage at the PCC with sag of 0.3 p.u. magnitude and 􀀀100 phase jump. (b) Three phase load voltage(c) Injected voltage. (d) The duty cycle of choppers in phase a sag supporter. Fig. 4. Compensation of a sag type Ca. (a) Three phase voltage at the PCC with sag of 0.4 p.u. characteristic voltage magnitude and 􀀀200 phase jump. (b) Three phase load voltage at the PCC. (c) Injected voltages. (d) The duty cycle of voltages in phase b sag supporter. (e) The duty cycle of choppers in phase c sag supporter. Fig. 5. Compensation of symmetrical sag. (a) Three phase voltage at the PCC with sag of 0.5 p.u. magnitude and 􀀀600 phase jump. (b) Three phase load voltage at the PCC. (c) Injected voltages. 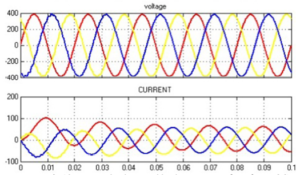 (d) The duty cycle of voltages in all sag supporters. 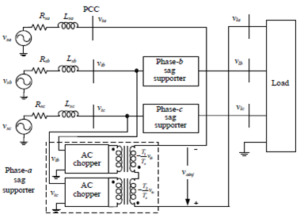 In this paper, an ac-ac converter based voltage sag supporter fed with line voltage has been proposed to compensate voltage sag with phase jump. The operation and switching logic of this topology are explained in detail. The capability of the topology is tested for different types of voltage sags are compared with other topologies. This topology has the advantage of eliminating storage device and providing increased range of compensation. The efficacy of the proposed topology is validated through simulation and experimental studies. An intuitive method of classification of voltage sags , assorts sag into four basic types as shown in Fig. In the figure, the dashed lines represent the pre-sag voltage, and the solid lines represent the voltages during sag. The pre-sag voltages are given by V j , and during sag voltages by V0 j ,where j = a, b, and c. A single phase fault causes voltage sag in one phase (type B) at the terminals of a star connected load and in two phases (type C) at the terminals of a delta connected load. A phase-to-phase fault causes type C sag at the terminals of a star connected load and type D sag at the terminals of a delta connected load. A three phase symmetrical sag (type A) is caused by three phase fault. Further, voltage sag gets transformed into other sag types as it propagates in power system to lower voltage levels through transformers. Transformation of a voltage sag due to single phase fault i.e. type B sag, is illustrated in Fig. The type B sag when propagates through a star-delta transformer it transforms to a type C sag. 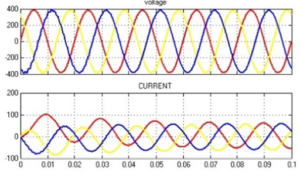 When type C sag in-turn propagates through a star-delta transformer, it transforms to a type D sag. Each sag type is further classified into three subtypes based on the phase(s) that is/are affected. The subtypes are represented by a, b or c subscript, for easy reference. For instance, sag type Ba and Da have voltage sag in phase-a; while for sag type Ca, the line voltage bc is faulty and phase- a is healthy. Characterization of each type of sag is done in terms of the type and the complex characteristic voltage (V0 ch). The characteristic voltage defines three phase voltage sag. The phase voltages as a function of the characteristic voltage and the pre-fault voltage (which is usually 1 p.u.) is given in Table IV for the basic four types . S. Vedam and M. S. Sarma, Power Quality: VAR Compensation in Power Systems. CRC press, 2009. H. J. Bollen, Understanding Power Quality Problems. New York: IEEE press, 2000. 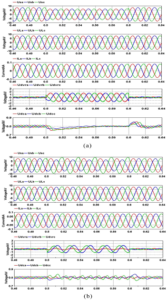 Mohseni, S. M. Islam, and M. A. Masoum, “Impacts of symmetrical and asymmetrical voltage sags on dfig-based wind turbines considering phase-angle jump, voltage recovery, and sag parameters,” IEEE Trans. Power Electron., vol. 26, no. 5, pp. 1587–1598, May 2011. Massoud, S. Ahmed, P. Enjeti, and B. Williams, “Evaluation of a multilevel cascaded-type dynamic voltage restorer employing discontinuous space vector modulation,” IEEE Trans. Ind. Electron., vol. 57, no. 7, pp. 2398–2410, Jul. 2010. W. Li, D. Vilathgamuwa, F. Blaabjerg, and P. C. Loh, “A robust control scheme for medium-voltage-level dvr implementation,” IEEE Trans. Ind. Electron., vol. 54, no. 4, pp. 2249–2261, Aug. 2007. This paper presents a new multilevel cascaded-type dynamic voltage restorer (MCDVR) with fault current limiting function. This topology can operate in two operational modes: 1) compensation mode for voltage fluctuations and unbalances, and 2) short-circuit current limiting mode. The current limiting function of the MCDVR is performed by activating anti-parallel thyristors during the short-circuit fault, and deactivating them during normal operation. The mathematical model of the MCDVR system is also established in this paper. The control scheme design and optimal parameter selection are outlined based on the detailed theoretical analysis of the converter. The transient states of the MCDVR in both the compensation mode and current-limiting mode are also analyzed. Simulation results based on the PSCAD/EMTDC software and experimental results on a laboratory setup help to validate the proposed topology and the theoretical analysis. Fig. 1. Schematic diagram of the proposed MCDVR. Fig. 2. Simulation results of the MCDVR system. Top to bottom: (a) the supply voltage Us, (b) the load voltage UL, (c) the secondary voltage Udvr, (d) the load current IL, and (e) the dc-link voltage. Fig. 4. 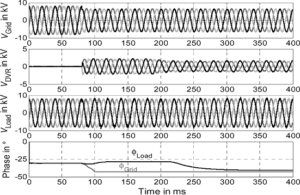 Backward switching simulations of the MCDVR system, top to bottom: (a) the load current IL, (b) the current Iscr in the thyristor’s path, (c) the output current Idvr of the VSI, (d) the dc-link voltage Udc, and (e) the timing sequence. 1) The H-bridge cascade inverter can be adopted to reduce the series transformation ratio and the secondary current during the preliminary period of the fault. 2) The transient state of the MCDVR system was introduced in great detail. 3) The proposed control method can limit fault current with two cycle. The consistencies between the simulation results and experimental results help to verify the proposed topology and theoretical analysis. -S. Lam, M-C. Wong, and Y.-D. Han, “Voltage swell and overvoltage compensation with unidirectional power flow controlled dynamic voltage restorer,” IEEE Trans. Power Del., vol. 23, no. 4, pp. 2513-2521, Oct. 2008. 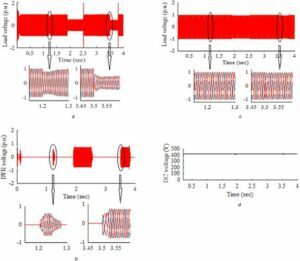 Jafari, S. B. Naderi, M. Tarafdar Hagh, M. Abapour, and S. H. Hosseini, “Voltage sag compensation of point of common coupling (PCC) using fault current limiter,” IEEE Trans. Power Del., vol. 26, no. 4, pp. 2638-2646, Oct. 2011. Z. Peng and J. S. Lai, “A multilevel voltage-source converter with separate DC source for static var generation,” IEEE Trans. Ind. Applicat., vol. 32, no. 5, pp. 1130-1138, Sep./Oct. 1996. K. Al-Hadidi, A. M. Gole, and D. A. Jacobson, “Minimum power operation of cascade inverter-based dynamic voltage restorer,” IEEE Trans. Power Del., vol. 23, no. 2, pp. 889-898, Apr. 2008. This paper presents the design and evaluation of a mini-size GdBCO magnet for hybrid energy storage (HES) application in a kW-class dynamic voltage restorer (DVR). The HES-based DVR concept integrates with one fast-response highpower superconducting magnetic energy storage (SMES) unit and one low-cost high-capacity battery energy storage (BES) unit. Structural design, fabrication process and finite-elementmodeling (FEM) simulation of a 3.25 mH/240 A SMES magnet wound by state-of-the-art GdBCO tapes in SuNAM are presented. To avoid the internal soldering junctions and enhance the critical current of the magnet simultaneously, an improved continuous disk winding (CDW) method is proposed by introducing different gaps between adjacent single-pancake coil layers inside the magnet. About 4.41% increment in critical current and about 3.42% increment in energy storage capacity are demonstrated compared to a conventional CDW method. By integrating a 40 V/100 Ah valve-regulated lead-acid (VRLA) battery, the SMES magnet is applied to form a laboratory HES device for designing the kW-class DVR. For protecting a 380 V/5 kW sensitive load from 50% voltage sag, the SMES unit in the HES based scheme is demonstrated to avoid an initial discharge time delay of about 2.5 ms and a rushing discharging current of about 149.15 A in the sole BES based scheme, and the BES unit is more economically feasible than the sole SMES based scheme for extending the compensation time duration. Fig. 1. Circuit topology of the HES-based DVR. Fig. 2. 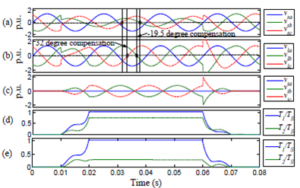 Transient voltage curves: (a) Load voltage before compensation; (b) Compensation voltage from the DVR; (c) Load voltage after compensation. Fig. 3. Transient voltage curves: (a) Load voltage before compensation; (b) Compensation voltage from the DVR; (c) Load voltage after compensation. The structural design, fabrication process and FEM simulation of a 3.25 mH/240 A SMES magnet wound by state-of-the-art GdBCO tapes have been presented in this paper. The FEM simulation results have proved the performance enhancements in both the critical current and energy storage capacity by using the improved CDW scheme. Such a mini-size SMES magnet having relatively high power and low energy storage capacity is further applied to combine with a 40 V/100 Ah VRLA battery for developing a laboratory HES device in a kW-class DVR. In a 5 Kw sensitive load applications case, voltage sag compensation characteristics of three different DVR schemes by using a sole SMES system, a sole BES system and a SMES-BES-based HES device have been discussed and compared. With the fast-response high-power SMES, the maximum output current from the BES system is reduced from about 149.15 A in the BES-based DVR to 62.5 A in the HES-based DVR, and the drawback from the initial discharge time delay caused by the inevitable energy conversion process is offset by integrating the SMES system. With the low-cost high-capacity BES, practical compensation time duration is extended from about 32 ms in the SMES-based DVR to a longer duration determined by the BES capacity. Therefore, the proposed HES concept integrated with fast-response high-power SMES unit and low-cost high-capacity BES unit can be well expected to apply in practical large-scale DVR developments and other similar SMES applications. Mohd. H. Ali, B. Wu, and R. A. Dougal, “An overview of SMES applications in power and energy systems,” IEEE Trans. Sustainable Energy, vol. 1, no. 1, pp. 38-47, 2010. X. Y. Chen et al., “Integrated SMES technology for modern power system and future smart grid,” IEEE Trans. Appl. Supercond., vol. 24, no. 5, Oct. 2014, Art. ID 3801605. IEEE Std 1159-2009, IEEE Recommended Practice for Monitoring Electric Power Quality, 2009. 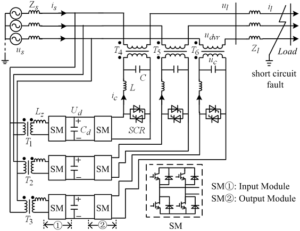 X. H. Jiang et al., “A 150 kVA/0.3 MJ SMES voltage sag compensation system,” IEEE Trans. Appl. Supercond., vol. 15, no. 2, pp. 1903-1906, Jun. 2005. S. Nagaya et al., “Field test results of the 5 MVA SMES system for bridging instantaneous voltage dips,” IEEE Trans. Appl. Supercond., vol. 16, no. 2, pp. 632-635, Jun. 2006.